So I'm having a problem with Elsa's hair.. I installed the newest version of Apachii's hairstyles, the full version. Then I separatley downloaded Elsa's hair and also installed it. 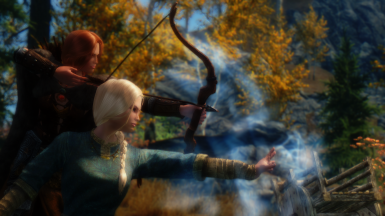 Both mods work, the hairstyles exist in the game since I can put them on my own character (including Elsa's hair). Seren - Skysims Hair 206 Elsa.esp is set to load BEFORE SSelsa.esp. But the problem is, Elsa still has the old hairstyle from Apachii's mod. I tried running it without Apachii's mod but the game instantly closes at the main menu. I am running a fresh Skyrim Legendary install so no other mods are conflicting with it. 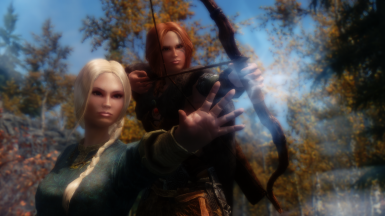 I also installed the Oriental version of WSCO - Windsong Skyrim Character Overhaul by Windsong mod which was suggested for LFFS. Anyone else got this problem? EDIT: I realised the problem. I had the older version of the mod downloaded. I just downloaded v2.1 and it works like a charm! Thanks for this mod! How did you get the mods load in a specific order? I downloaded the Seren mod first and manually put it in my files, but I don't see a way to organize the mods. It is really recommended to use a mod manager like NMM or MO as these have options to let you sort your load order. However there is still one other way and that is through the regular Skyrim launcher. Just open it and click the button that says ' ata Files' and you can sort your load order there. Obviously, it loads from the top, down. 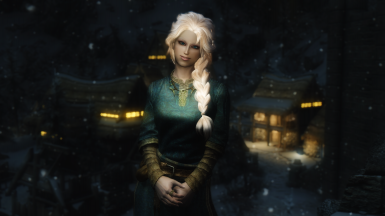 I just wanted to ask if there is some way to make Elsa look like in the picture Because in my game she looks not so beautiful as she is on the picture. Should I install something or replace the old version with the new one? Not sure if this was intentional, but Anna seems to be capped at Level 50, whereas Elsa can level up with the player as high as she wants. and then get the assets of their faces put in? 1. Put their eyes apart more, how I do it is I pretend there's an eye in between which will evenly separate them. Aside from that they look really good! I love the way you did their lips and noses! This mod is pretty awesome. But if you'll hear out my recommendation, i think allot of the users of this mod would be happy to see Elsa's dress in an update or new mod. Anna don't look bad, but Elsa look like a drag queen. After installing the update from the Tumblr link, my game crashes back to the desktop after the Bethesda logo is shown. Strangely, it works fine when I uncheck Anna.esp in my Data Files. Any explanation for this? I do not . Could you try replacing the new Anna.esp with the old one and tell me what happens. (should still work as intended if everything else is the same). Do you have a game save using the previous version? I always used the newest version. I'll try your advice somewhere around the end of the month, I have exams now, so I don't really have time to tinker mith gaming :p. sorry for the late answer by the way! Hello silvershade100, ur mod is AWSOME!!! the only thing i would like to request of u is for u to make custom voices out of this mod's 2 followers. That is...if u know how to make custom voices. some modders dont, but if u can do that, that would be great! hey guys, does anyone happen to know if theres gonna be an update for this mod soon, in which the 2 followers have custom voices? if not, then I might be able to figure out how to make custom voices. In order to do THAT, i will need permission from the author of this mod. whoever made it, if you say yes, I will make just the voices and send them to you so you can add them to your mod. other than that though, the mod is GREAT! Unfortunately, this was my first time using Skyrim Creation Kit, and I'd rather not risk it. 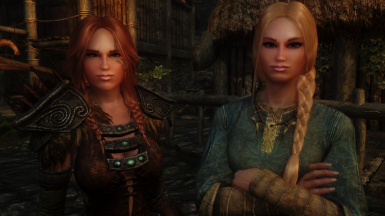 To the author of this mod, I like to make a request if you know how to customize follower voices: customize the voices of this mod's 2 followers. If you can, i would prefer those voices to be the same as the ones in the movie, frozen. 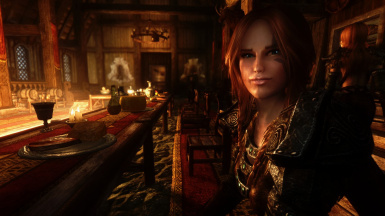 I appreciate it if you can reply to this post whenever you can, and if you can do this, that would be great, not only to me, but to every person worldwide who uses any mod to play skyrim. Why can't I find them in my game? I loaded them correct and have the mods they needed. 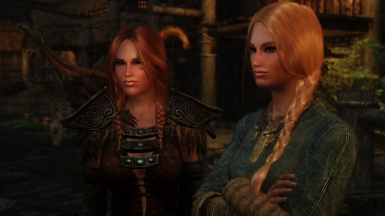 I loaded a game I was in the middle of and have hunted all of The College and Jorrvaskr..
O your tumblr profile i see Elsa have another [ for me better] braid. How i can change it in game? Read the description on the mod page here. It links you to the update.